There’s lots of controversy regarding how safe expired prescriptions and over-the-counter medications are. Some say it’s okay to take expired medication, while others insist that to take any kind of drug after the expiration date could cause horrible side effects. In addition to that, the expired medication would likely not be effective because the chemical make-up could change. The truth is our government keeps a huge stash of prescription drugs that are near their expiration dates in the event there is a major medical emergency. So, you have to wonder just how accurate these expiration dates are — especially when the government thinks it’s okay to take an expired (or near expired) drug. Here are some very helpful answers to questions you should ask before taking expired medication in your home. The U.S. Food and Drug Administration conducted a major study on drugs that were stored in the best conditions (usually a cool, dry place). Out of the 1,000 drugs that were tested, only insulin and liquid antibiotics degraded quickly. The majority of the other drugs were still effective for years after their expiration dates. Some of them were still at full strength as much as 5 and 10 years after their expiration dates! Again, you have to wonder if these expiration dates — which the government made mandatory in 1979 — aren’t just a way to get Americans to throw out their expired medications and buy new prescriptions and over-the-counter medicines. That being said, it is important to understand that not storing your medications properly can cause them to degrade — often before their expiration dates. So, you should always follow the storage and dosing instructions which appear on the bottle. 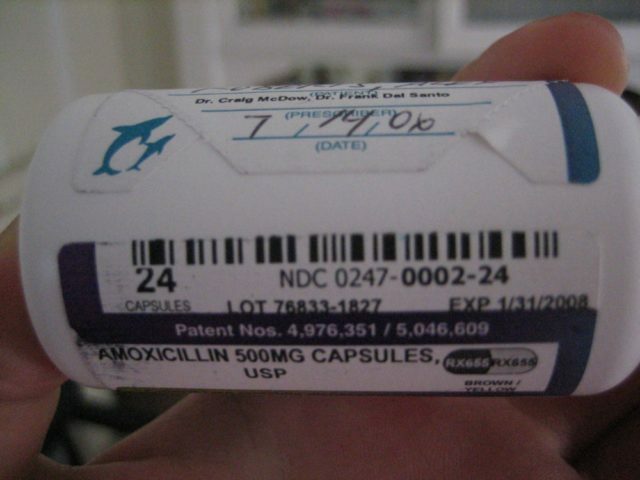 As a rule: you shouldn’t keep expired antibiotics to use at a later date. However, the reason has less to do with the expiration date and more to do with how antibiotics work. For example, let’s say you have 4 or 5 antibiotic pills left from an older prescription, and you’re thinking that you should keep them and take them later if you start feeling sick again over the winter. Doing so could actually help the bacteria become more drug resistant. 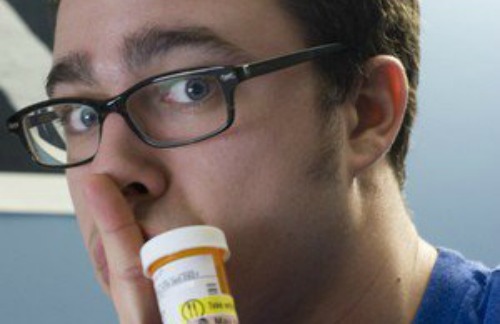 A few leftover antibiotic pills aren’t enough to rid the bacteria from your body. You’d be self-diagnosing which can be very dangerous. What you may think is a bacterial infection requiring antibiotics (because the symptoms are similar to what you had before) may in fact be a viral infection that antibiotics will do absolutely nothing for. Therefore, when it comes to expired antibiotics, you should always dispose of any leftover pills or liquid antibiotic prescriptions — regardless of the date on the packaging. Antibiotics are one expired medication you don’t want to mess with. What About OTC Drugs & Other Prescriptions? For the most part, other leftover medications should not be saved and taken at a later date either — whether they’re past the expiration date or not. That is, not until you speak to your doctor to be sure it is the medication you should be taking for the exact symptoms that you are experiencing. Again, this has more to do with the danger of self-diagnosing and less to do with the expiration dates themselves. Store your over-the-counter medications properly according to the packaging. Take it a few weeks or months (maybe even up to a year) past the expiration date. Why Are There Expiration Dates Then? So, you’re probably wondering what exactly determines the expiration date that’s put on over-the-counter medications. Well, in part, marketing! That’s right, companies frequently change their packaging (and their prices), and they obviously want consumers to be constantly aware of that fact. Likewise, they are continually improving the products at the same time. Now, get this… the expiration date on prescriptions and over-the-counter medications actually refers to the date that the product is guaranteed to be safe as long as it is in the original, unopened container. What Do You Do With Expired Medication? If you do decide to dispose of old prescription and over-the-counter medications, you need to know what medications are safe to flush. If you don’t adhere to the list, for example — you flush your antibiotics — you may actually help certain strains of bacteria to become even more resistant than they already are. Take them to a local collection event in your area. Make sure the Department of Health approves the event before taking your medications there. Or, add salt, ashes, dirt, or other undesirable thing to the drugs, and then seal them in a plastic container or bag and throw them into the trash. That way, the drugs stay out of the environment, and it prevents people who might go through the trash from taking the drugs themselves or selling them. For the record, here’s how to store medications properly in order to increase their effectiveness and longevity.